Lanyards are a great way to carry and display an ID badge or card. But did you know they can also be used for role-recognition, with no customization required? 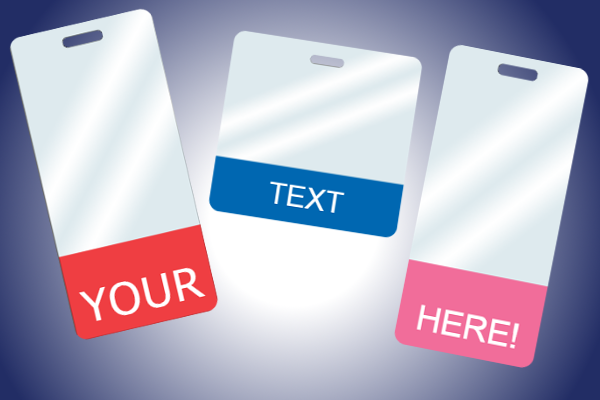 Thanks to our pre-printed role-recognition lanyards, you can order pre-printed lanyards with different titles, offering a convenient way to tell personnel apart at facilities of all kinds. When most people think of lanyards, they think of custom lanyards: colorful, eye-catching designs that are meant to promote a brand or show company pride. However, the space on a lanyard can be used for things other than brand enhancement: it can be used to identify personnel! 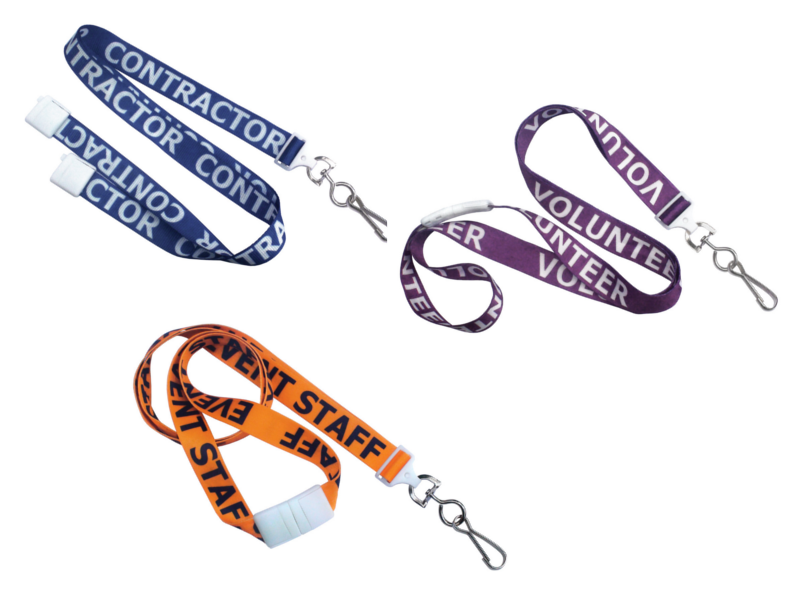 We offer six different pre-printed lanyard options, perfect for identifying all of the personnel at your site or event without having to spend the money on six different kinds of custom lanyard.